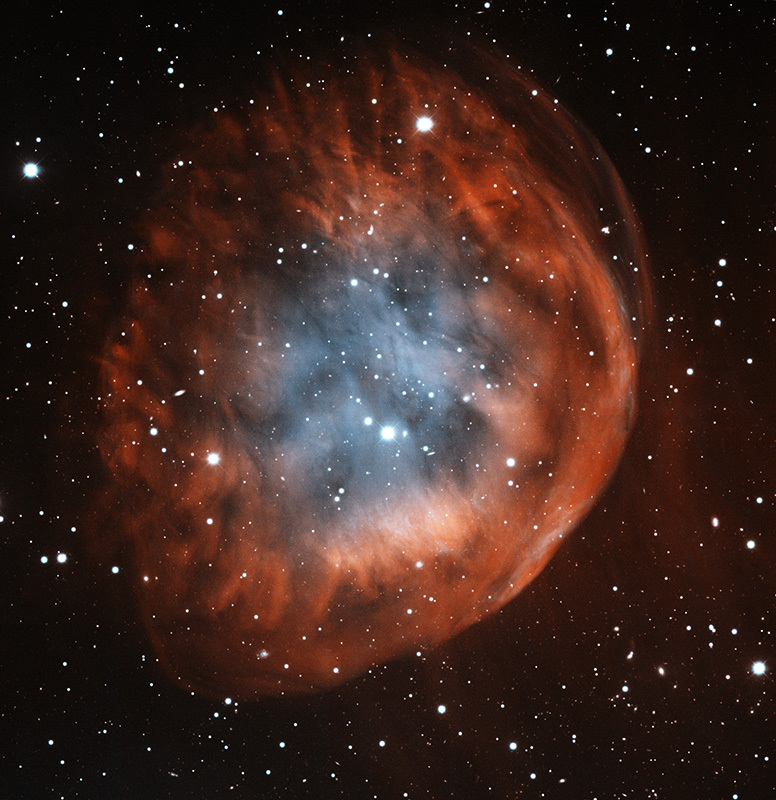 Sh2-290 is an ancient planetary nebula. 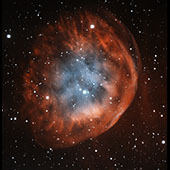 It is one of the largest known planetary nebulae, with a diameter of about 7 parsecs. The bluish interior is from energized oxygen atoms. The bright side of the nebula is due to its interaction with ambient interstellar gas.